For the first time ever, the library is able to offer limited textbooks for checkout! We understand how expensive textbooks can be, which is why we have embraced an idea brought to us by members of the Chatham Student Government. 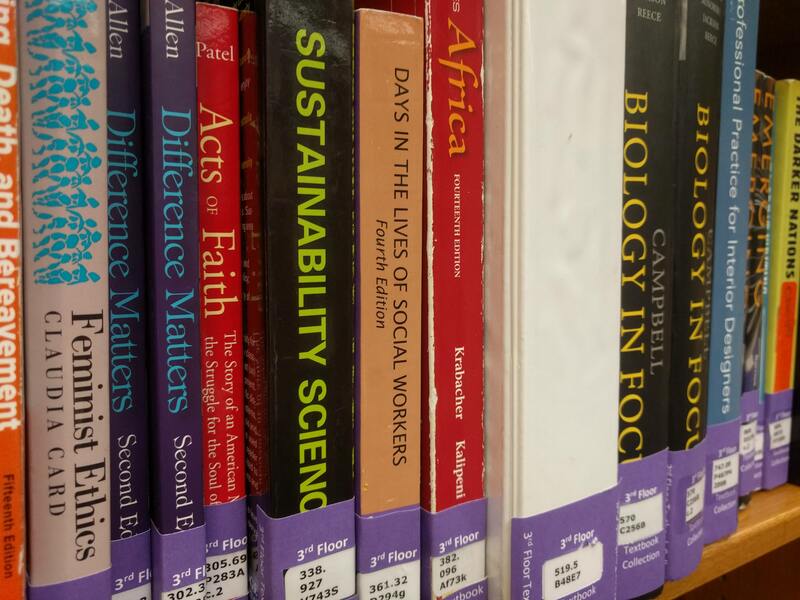 We now accept student textbook donations for our circulating collection. What does this mean? 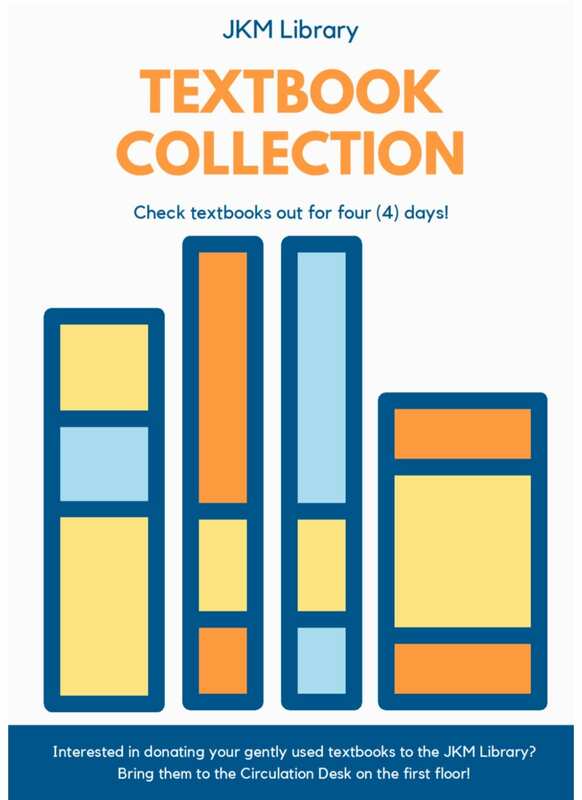 Well, it means that you as a student can check out any of the textbooks we have in our limited collection for four (4) days to use for classwork. 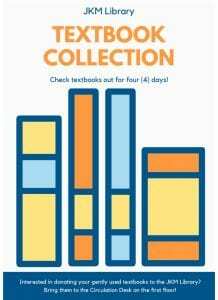 You can browse the textbook collection on the third floor next to our Olkes collection. You can find them on the shelf to the right as you walk out of the elevator. If you find a book you think will be helpful, you can check it out at the Circulation Desk downstairs on the first floor. Because these textbooks were donations from your peers, they might not be the most recent editions. This also means that our selection is still small since we rely on you for textbook donations. So what if you want to donate your old textbooks? First of all, thank you! You’re helping your fellow students decrease the cost of their education. In order to donate your textbooks to the library, bring them to either the Reference or Circulation Desk on the first floor. Faculty are also encouraged to donate materials and make use of our Course Reserve service by putting materials (such as books, DVDs, or articles) on reserve in the library for your students to access. You can learn more about Course Reserve here. We know that there will still be books for class that you won’t be able to find in our library, but don’t worry! You can still check E-ZBorrow or ILLiad to see if another library has what you need. If you have any questions about our textbook collection or how to find books for class, please contact a librarian! We’re available through email, phone, chat, text, and in person at the Reference Desk, and we’re always happy to help!